Kirsty has joined the Bdmcoach team to help not only generate more leads into your property management department, but also help add some extra income streams. 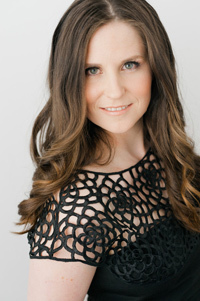 Kirsty Dunphey grew up immersed in an entrepreneurial wonderland: parents who had their own businesses and rental properties, who escaped the rat race and retired in their 30’s and who enveloped her in that culture working in their businesses from a young age. It was perfect, until as the story always goes, it wasn’t. Kirsty chose to take watching her parents lose it all as the most valuable learning building block anyone at that age could get – it was her gift. The valuable life lessons she lived through started the journey that lead her to starting her first two businesses coupled with two part time jobs under her belt at the age of 15, to her own award winning real estate agency at 21 and continuing on that path to being a self-made millionaire at 23, self-made multi-millionaire by 25 and with the ability to completely retire for life at the age of 27. Kirsty is a proud former National Telstra Young Business Woman of the Year (the youngest awarded to date) and an accomplished speaker within the real estate industry speaking across the world on customer service, property management, sales and systemization. In 2014 Kirsty sold her most recent real estate agency – the award winning Elephant Property, based in Tasmania – with her proudest achievements being 14 business days in a row at zero arrears, the 100% referral growth strategy and the phenomenal team she built up. For the first time in over 20 years Kirsty is now on a new path – and one that she couldn’t be more passionate about. Having dealt hands-on with investors for so long, she knows firsthand how many of them are poorly set up with their debt from a growth and tax effective standpoint. Enter Up Loans – Kirsty’s mortgage and finance broking company which helps investors structure their debt in the most effective way possible. Kirsty has found that investors who pay less on their investment debt and get bigger tax advantages keep their investment properties longer, purchase more investments quicker and are more satisfied with their property managers. Kirsty looks forward to chatting with you about ways you can add extra income streams to your property management department, while offering additional services to your client (without needing to put any time into those additional services).